Jack the Giant Slayer, rated PG-13, is coming to stores on June 18th, and we are giving you a chance to win it! Unleashed on the Earth for the first time in centuries, the giants strive to reclaim the land they once lost, forcing Jack (Nicholas Hoult), into the battle of this life to stop them. Fighting for a kingdom and its people, and the love of a brave princess, he comes face to face with the unstoppable warriors he thought only existed in legend... and gets the chance to become a legend himself! Directed by Brian Singer (X-Men, Superman Returns) Starring: Nicholas Hoult (About a Boy), Ewan McGregor (Star Wars, Moulin Rouge! ), and Stanley Tucci (The Lovely Bones). Wanna Win? 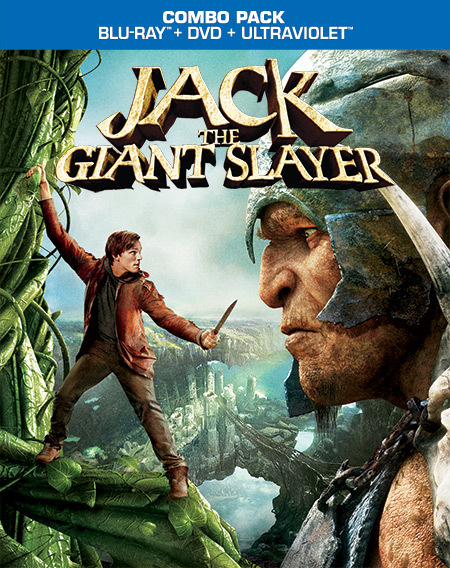 We are giving one lucky reader a Jack the Giant Slayer Combo Pack (Blu-ray + DVD + Ultraviolet). To be entered to win, just take the "How Brave Are You?" quiz in the app above, and let us know how you scored! You have until this Sunday, June 23rdth at 11:59 pm CST to get your entries in. One per person, please, open to U.S. and Canadian residents age 18+. We'll randomly pick one winner to get the prize. Full promotional rules here. *Prizing provided. Opinions are my own.